Magic is as dangerous as fire. Power comes at a price. Is dealing with witches worth the consequences? For years, Krissa has lived in fear of the strange abilities that have plagued her. When she’s upset, she can hear what other people are thinking. And when she’s overwhelmed, things explode. 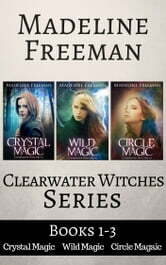 A move to Clearwater gives her the chance to reinvent herself, but Crystal Jamison and the town’s circle of witches won’t let her. If Krissa doesn’t embrace her magic, she could lose everything—but embracing that magic will change everything, forever. 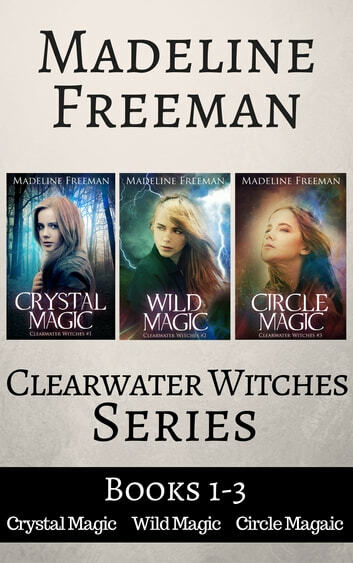 This collection of the first three books in the Clearwater Witches series of Young Adult novels is full of magic, suspense, and a touch of romance. These spellbinding tales will hook you from the start and keep you turning pages all night long. If you like bewitching characters, first loves, and strong female leads, then you’ll love this thrilling series. Buy the box set to watch an ordinary girl become a hero today! A great read. could not put it down. characters were interesting and well developed. lots of twist and turns with good story line flow. I really enjoyed this read, had me hooked for days til I finished. Reading it day and night felt like I was in the book. Well worth a read. Will have to read the next set to find out what happened.